The Cal Flame P4 Grill exhibits grilling technology that is sure to bring any outdoor cooking experience to the next level. The 4 high powered, cast stainless steel burners produce 60,000 BTUs across a large 800 square inches of grilling area, combined with a rear infrared rotisserie burner pushing out 15,000 BTUs for a total of 75,000 BTUs of grilling power. 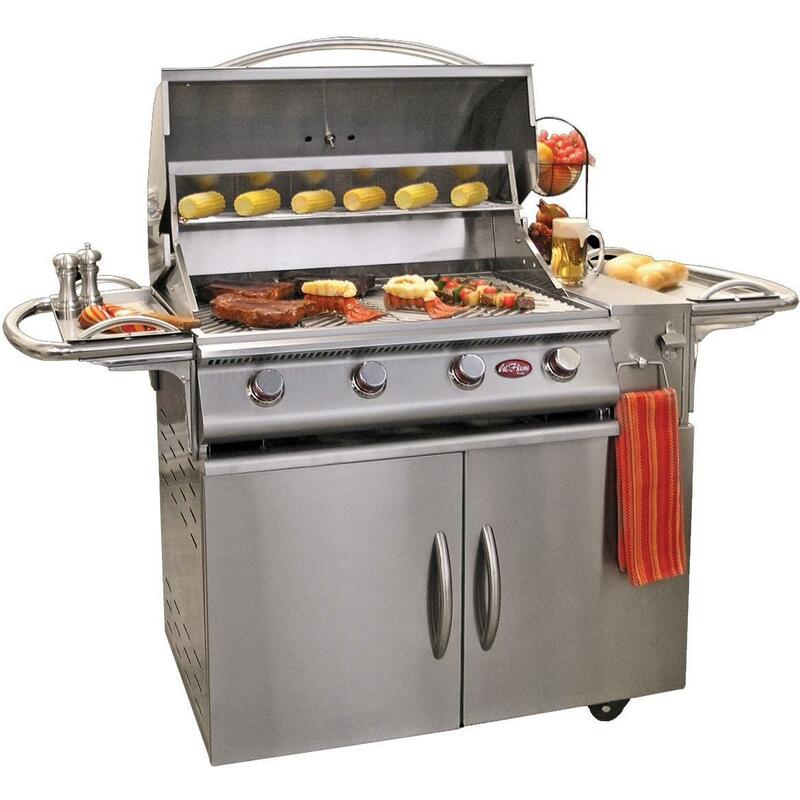 This Cal Flame 32-inch grill is constructed of 304 stainless steel and features the key components for making your backyard grilling effortless and enjoyable. 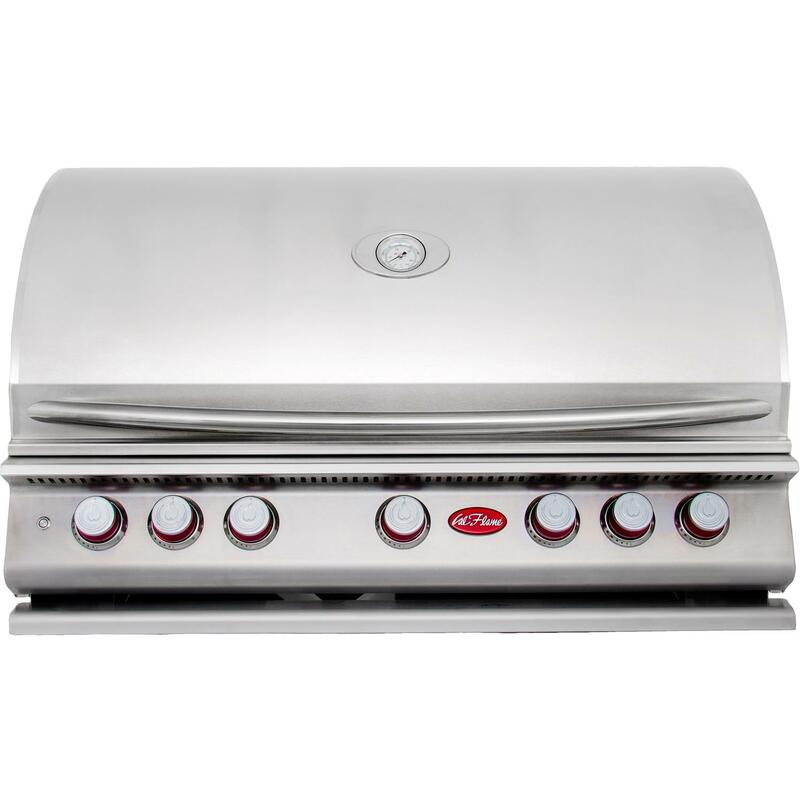 Equipped with 4 exclusive heavy-duty V-grates which help prevent food from falling through and are dishwasher safe, a built-in thermometer that allows you to easily monitor the cooking temperature, easy-start independent ignition on each burner for a reliable start, full width warming rack with two adjustable positions, internal lights for cooking day or night, topped off with exclusive heavy-duty Cal Flame knobs and a vented splash guard to protect them from grease. The benefits of the P4 Grill do not stop there – enjoy the included accessories like the griddle tray, smoke tray & grill cover! The Cal Flame P5 Grill exhibits grilling technology that is sure to bring any outdoor cooking experience to the next level. The 5 high powered, cast stainless steel burners produce 75,000 BTUs across a large 1,000 square inches of cooking area, combined with a rear rotisserie burner pushing out 15,000 BTUs for a total of 90,000 BTUs of grilling power. 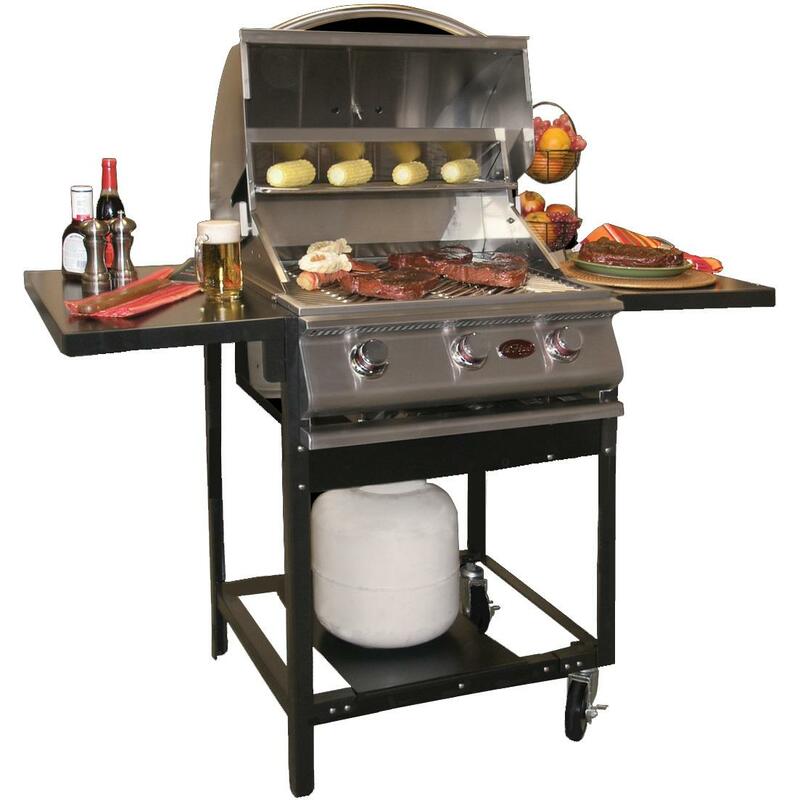 This Cal Flame 39-inch grill is constructed of 304 stainless steel and features the key components for making your backyard grilling effortless and enjoyable. 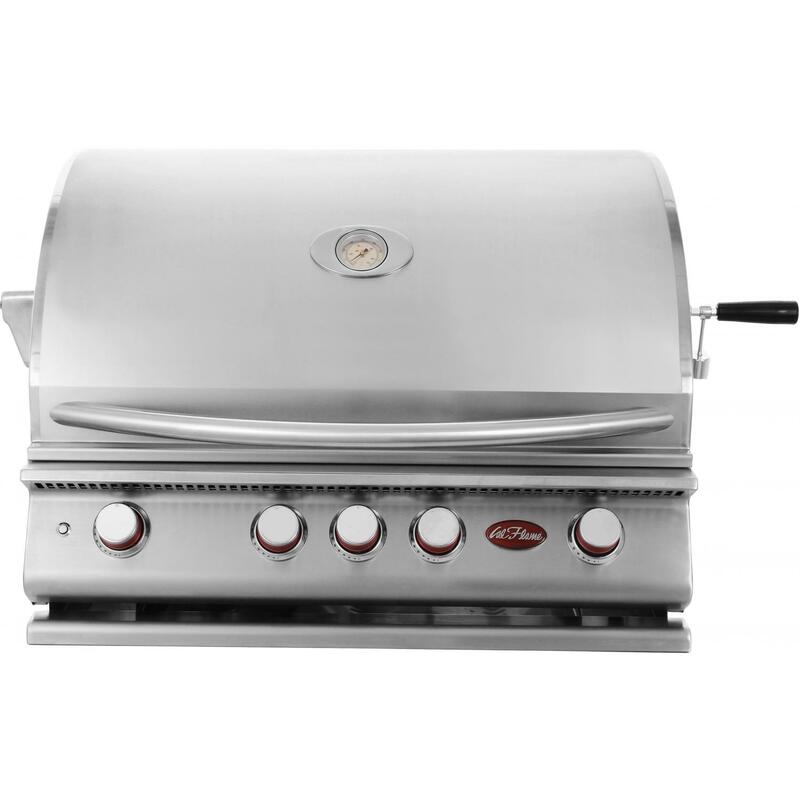 This grill is equipped with 5 exclusive heavy-duty V-grates which help prevent food from falling through and are dishwasher safe, a built-in thermometer that allows you to easily monitor the cooking temperature, easy-start independent ignition on each burner for a reliable start, a full width warming rack with two adjustable positions, internal lights for cooking day or night, topped off with exclusive heavy-duty Cal Flame knobs and a vented splash guard to protect them from grease. The benefits of the P5 Grill do not stop there – enjoy the included accessories like the griddle tray, smoker tray & grill cover!